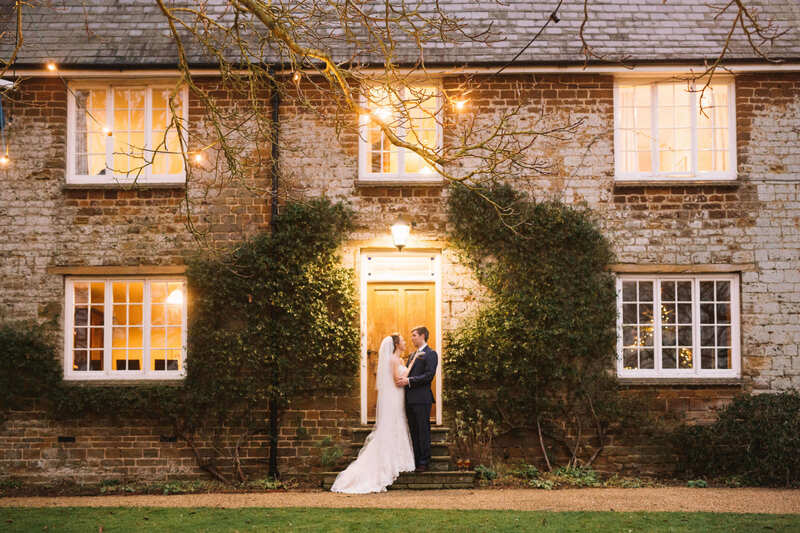 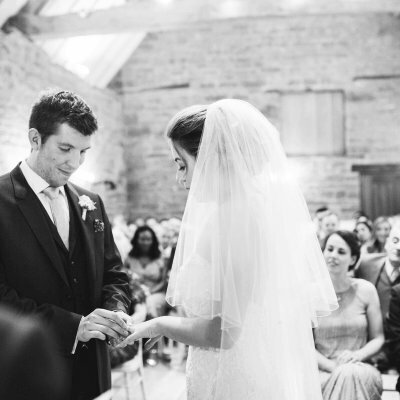 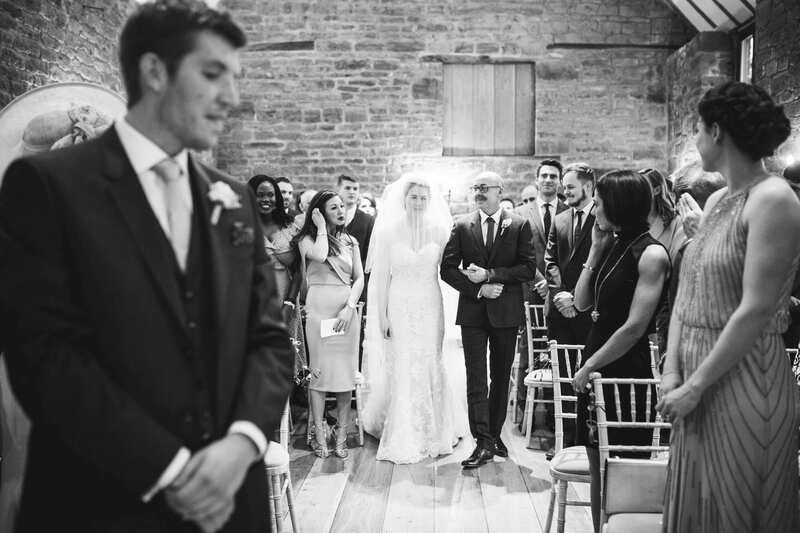 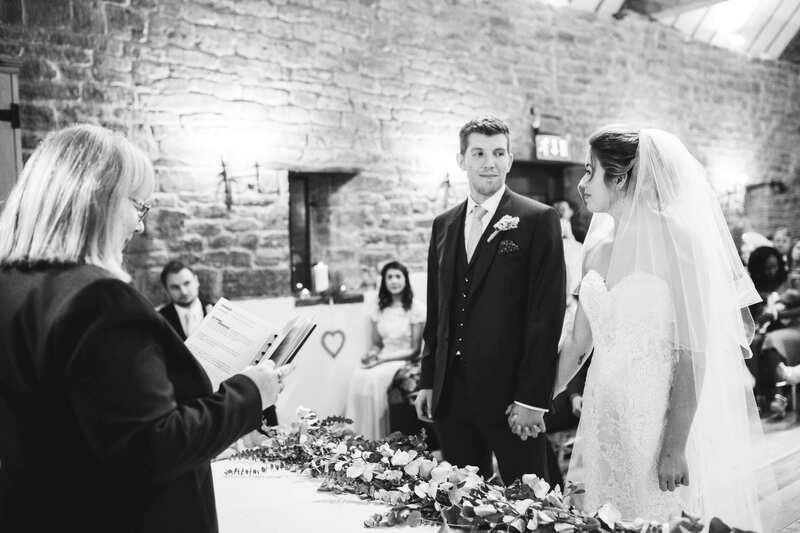 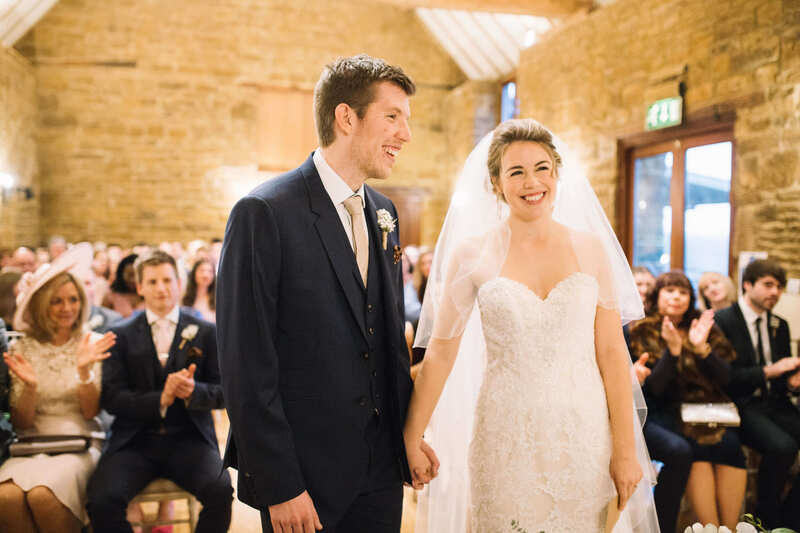 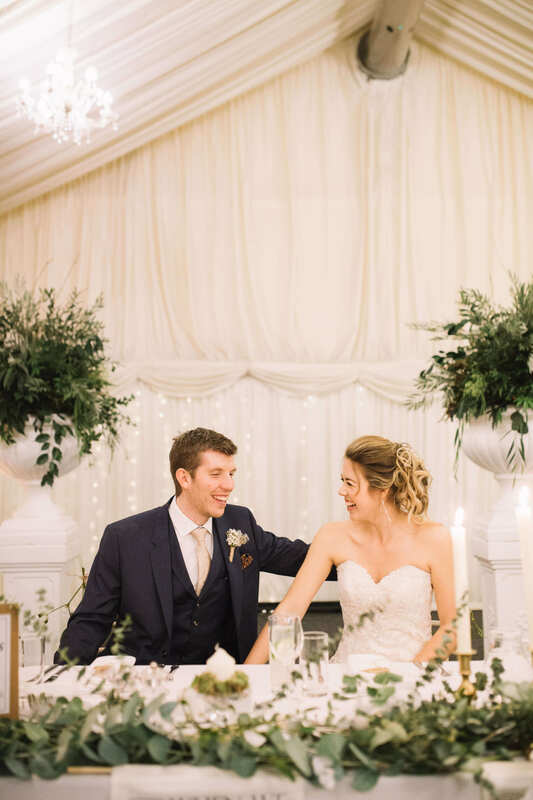 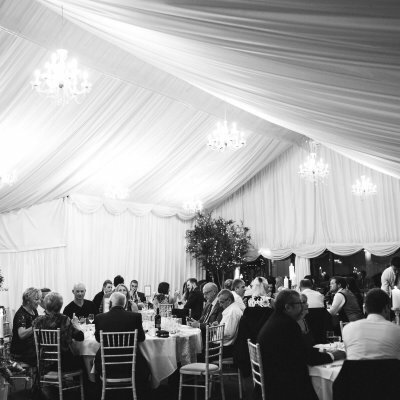 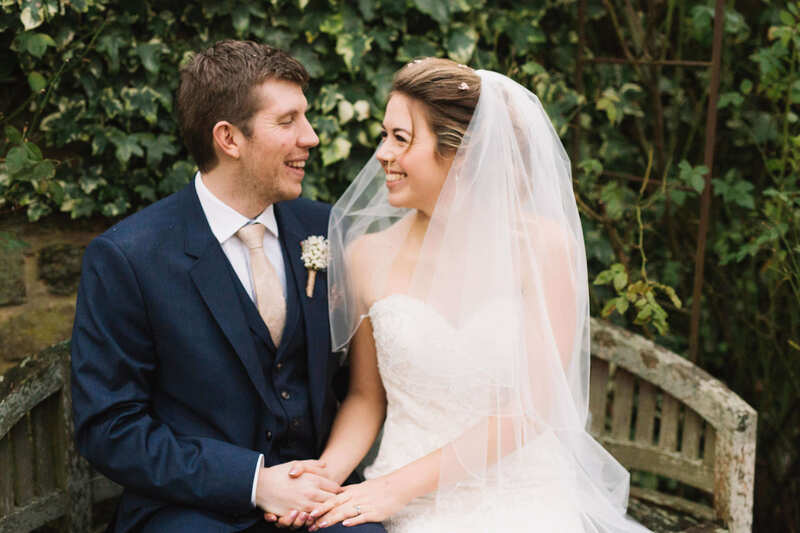 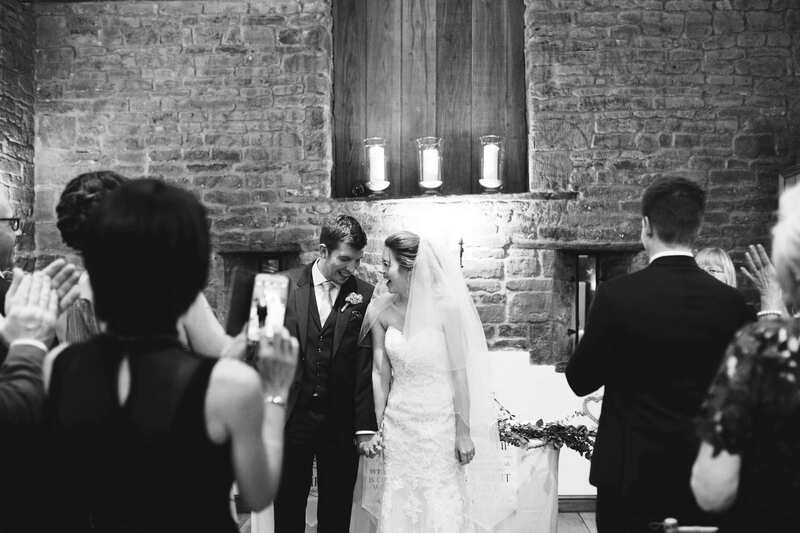 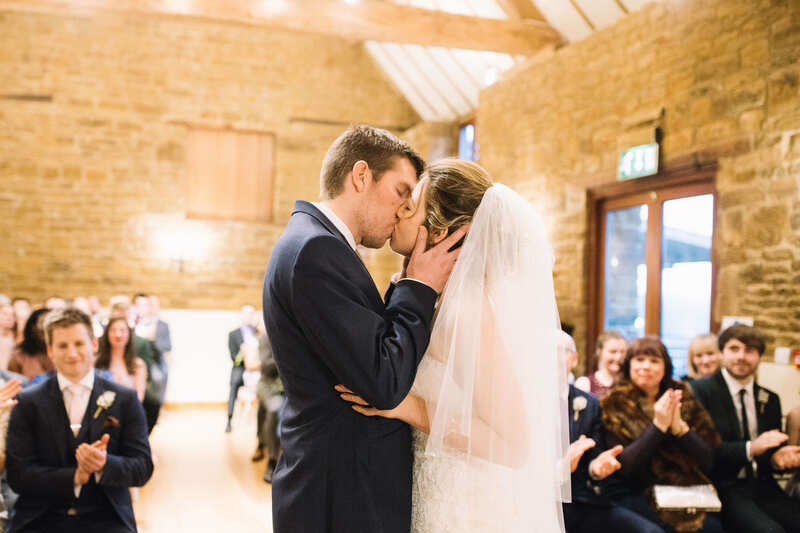 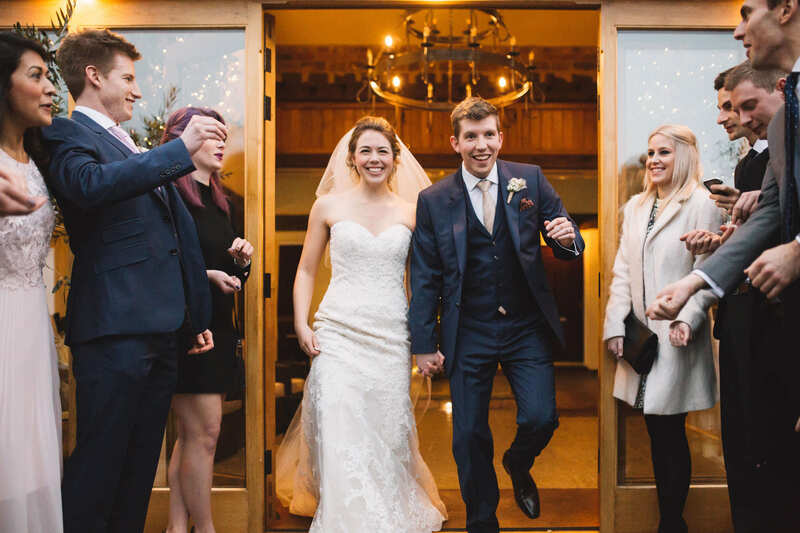 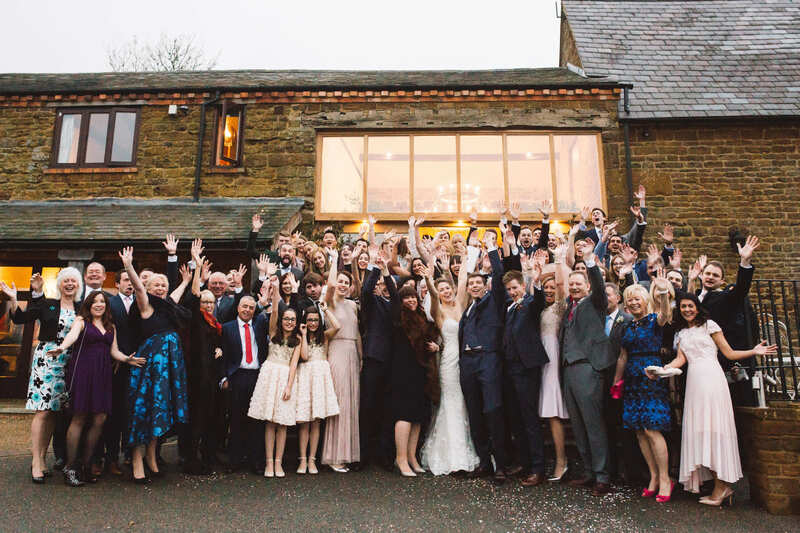 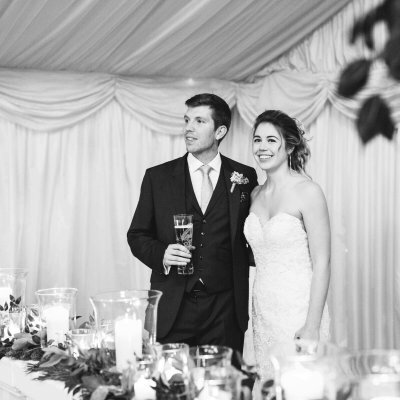 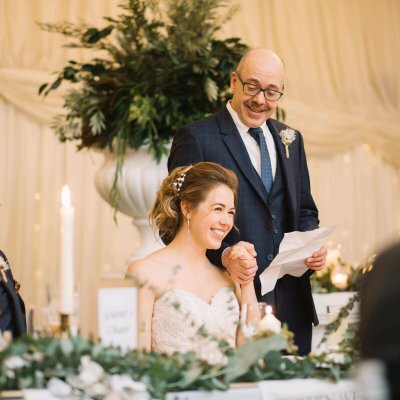 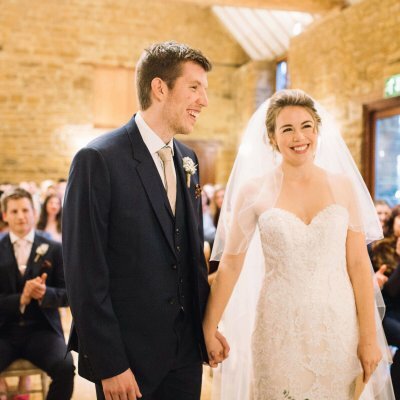 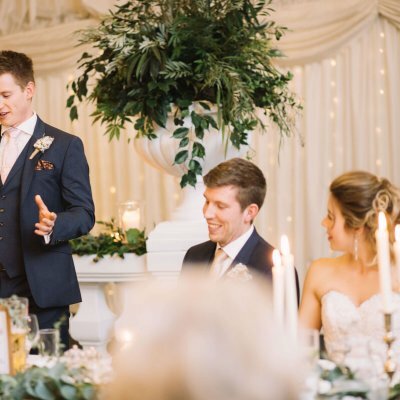 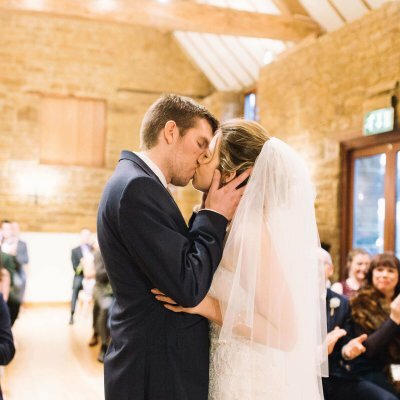 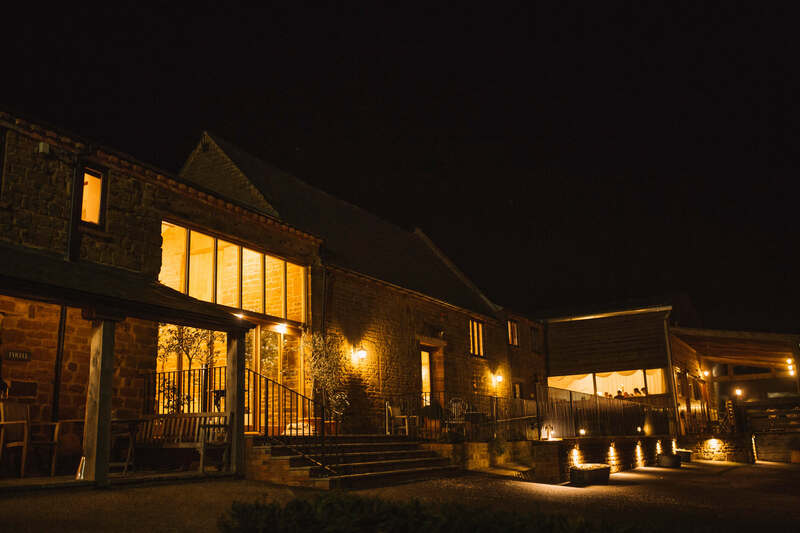 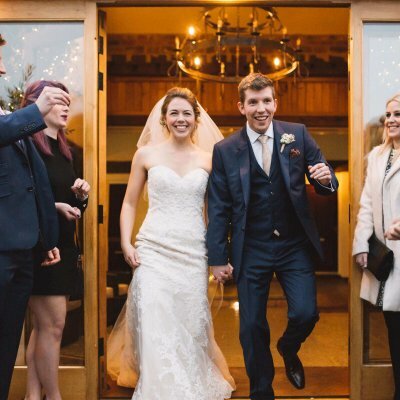 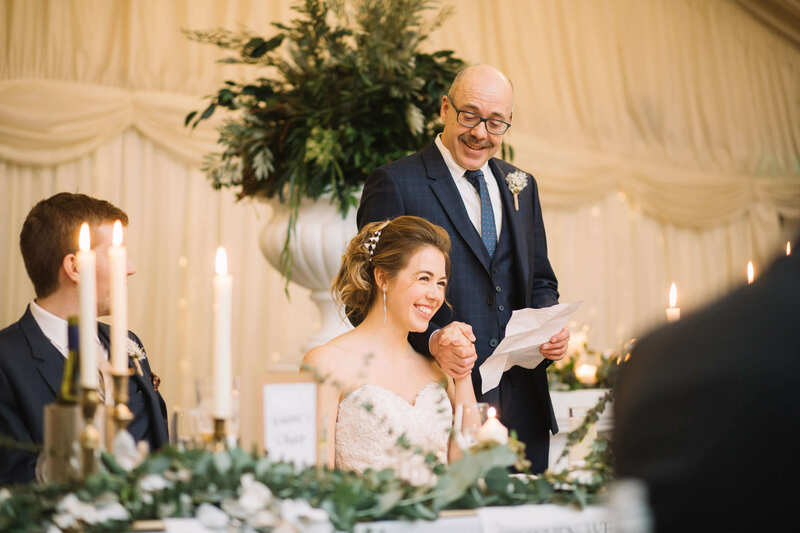 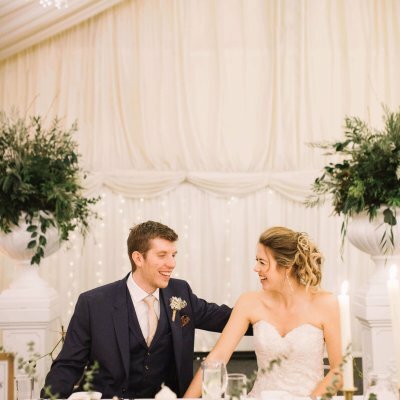 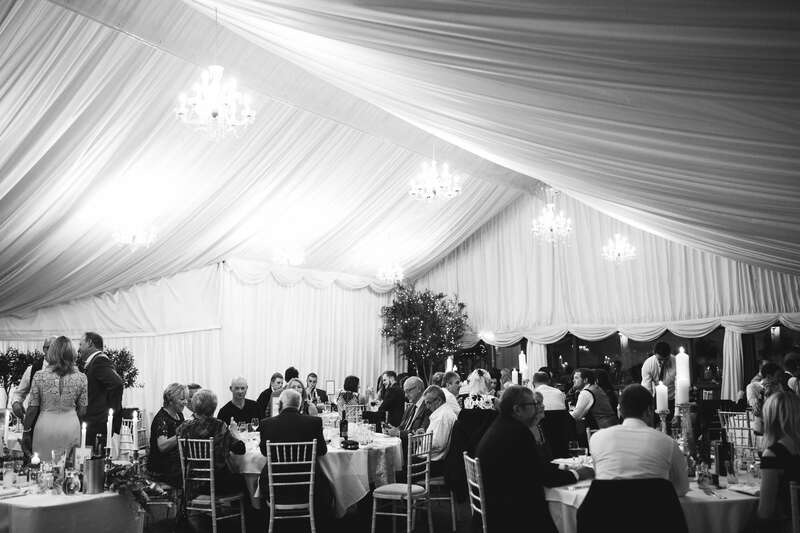 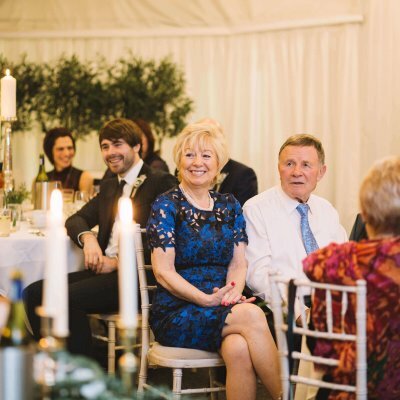 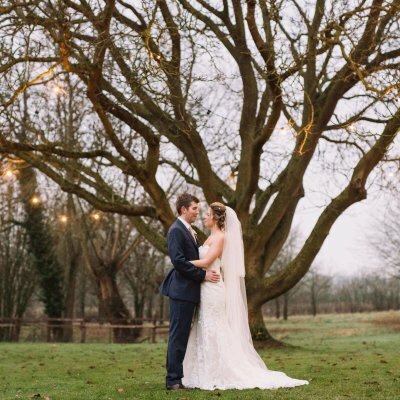 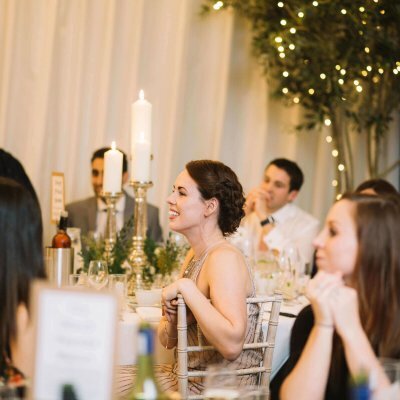 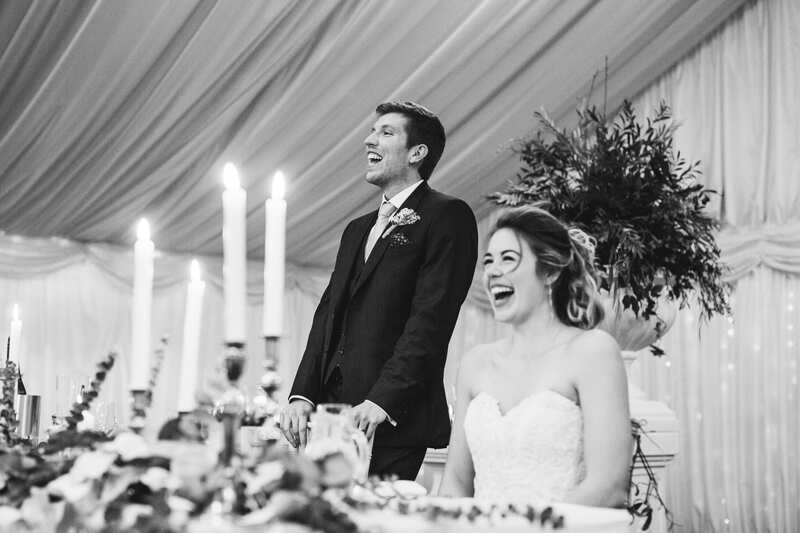 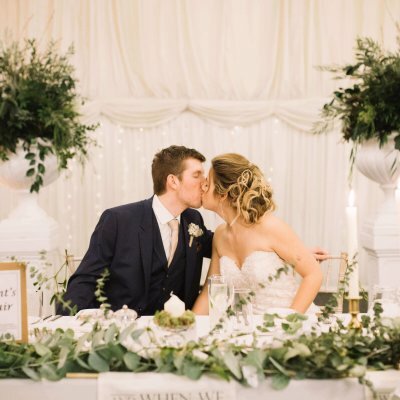 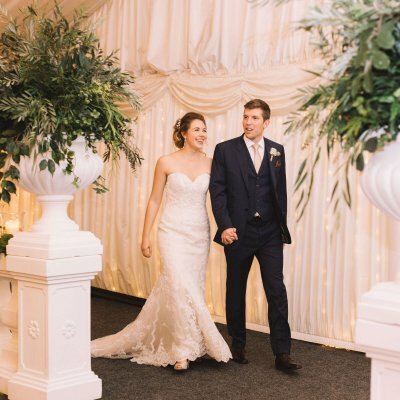 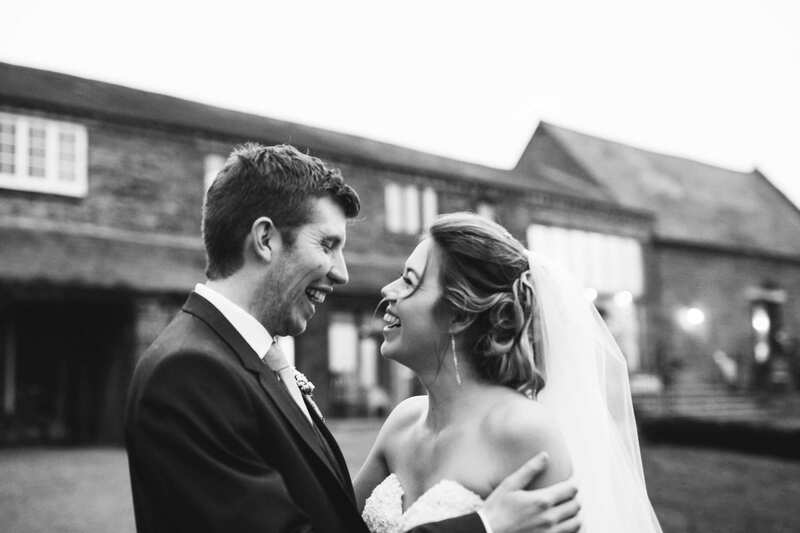 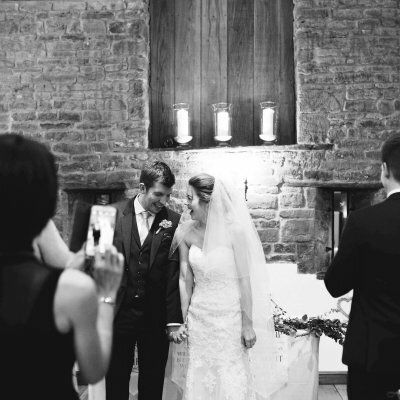 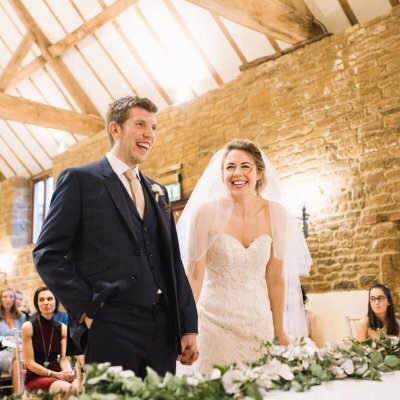 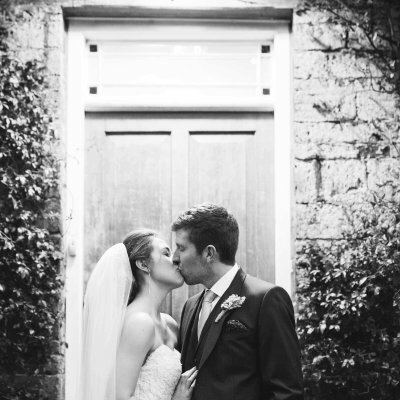 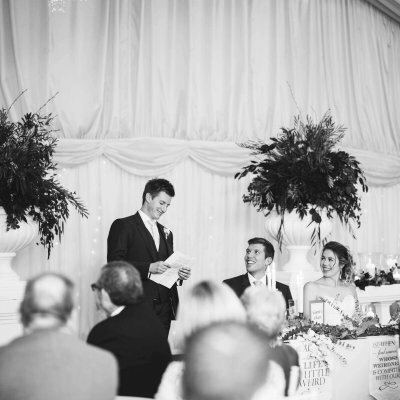 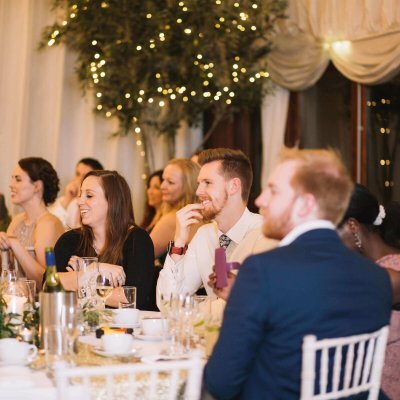 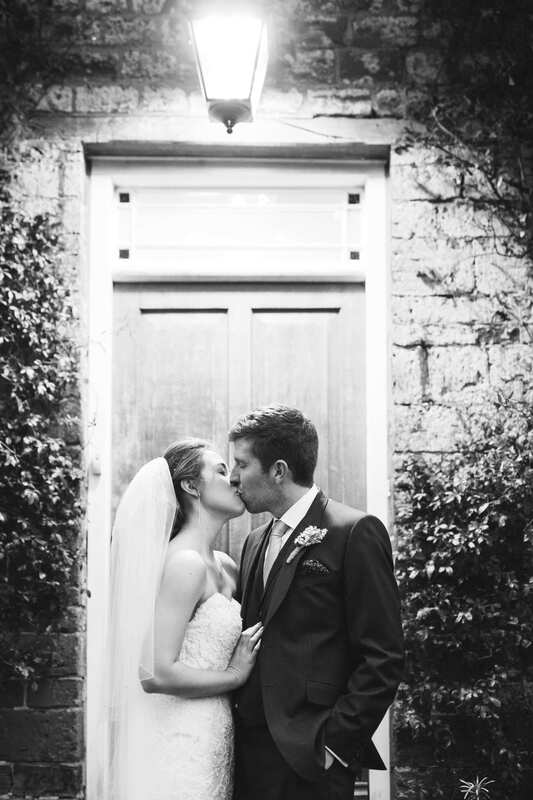 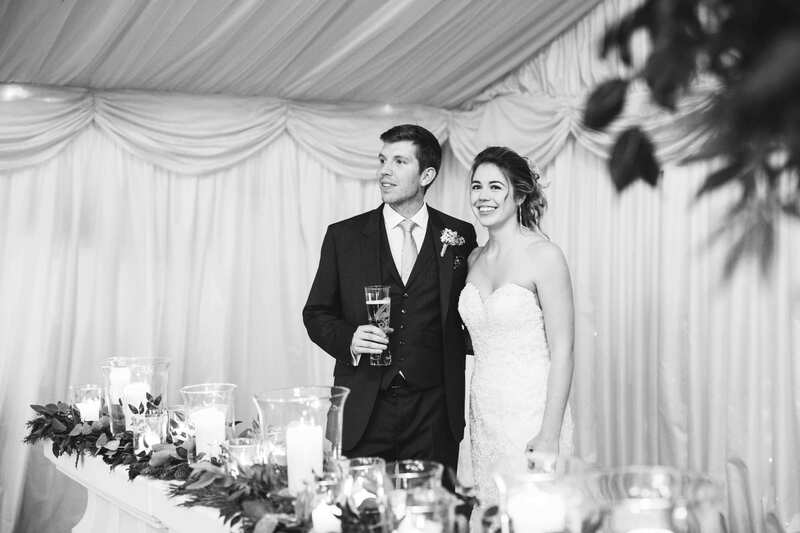 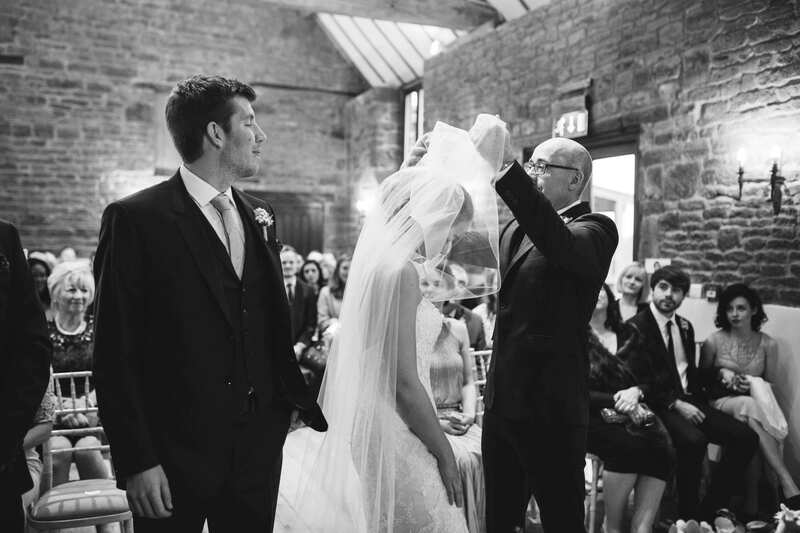 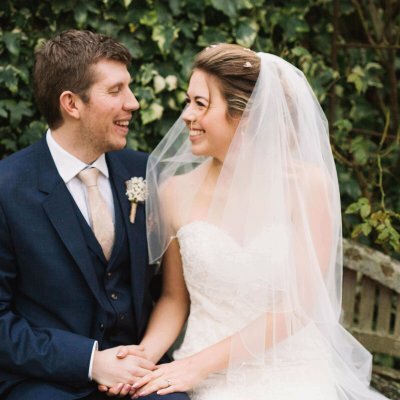 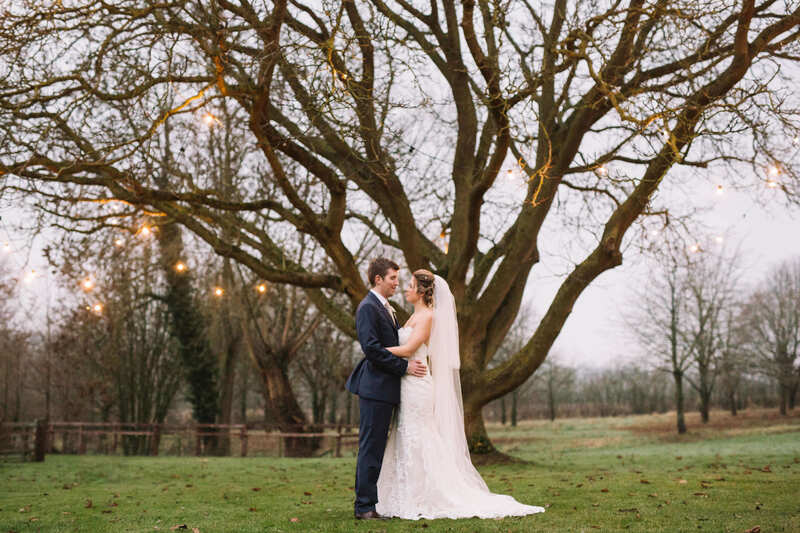 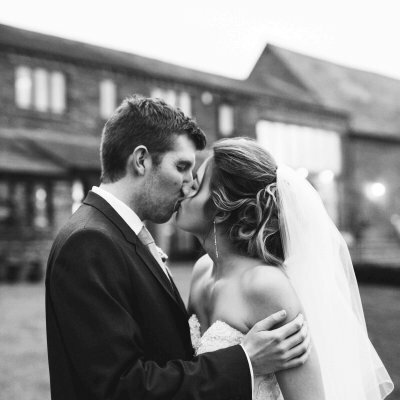 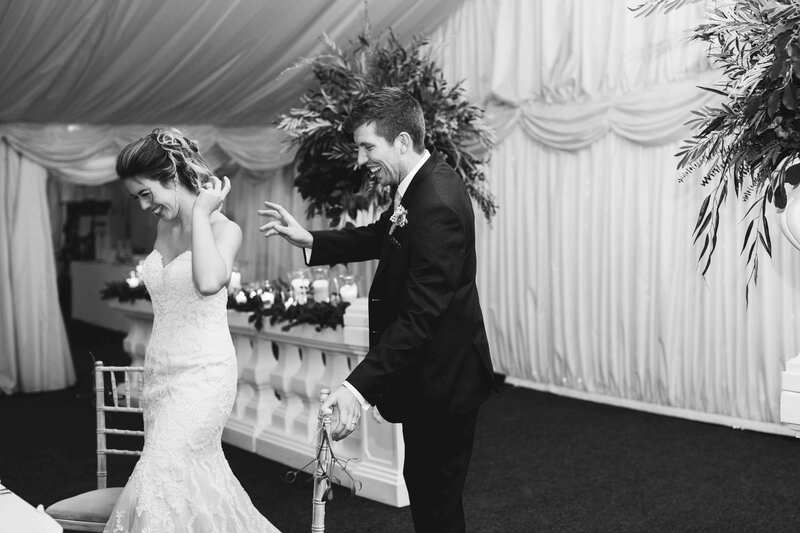 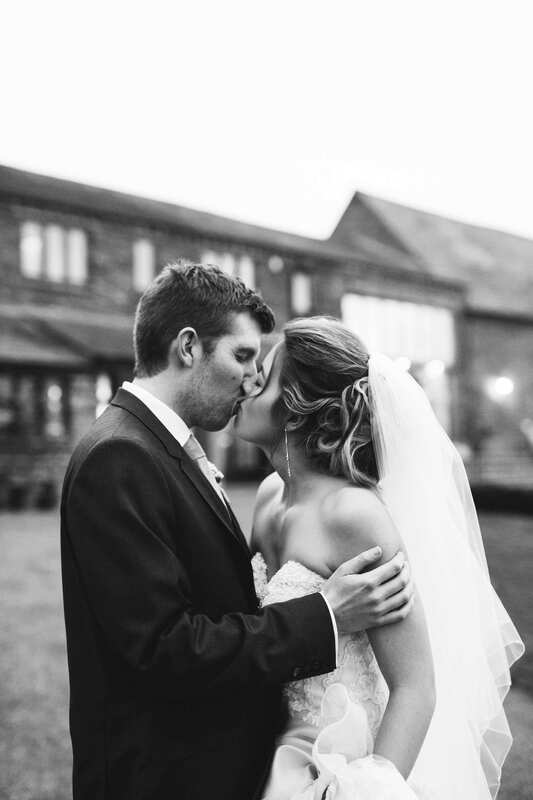 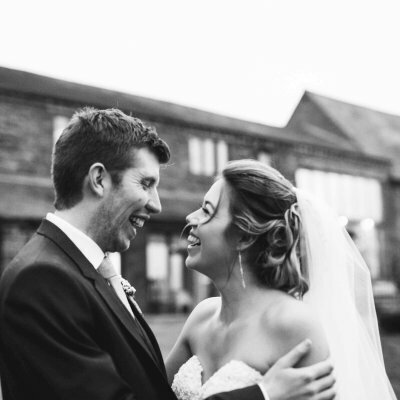 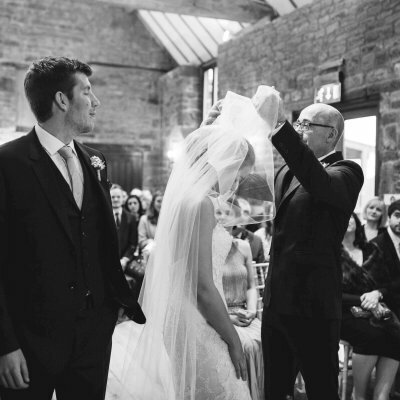 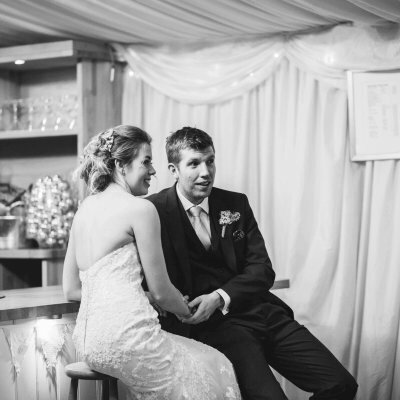 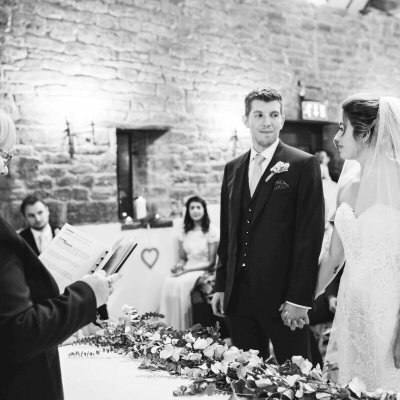 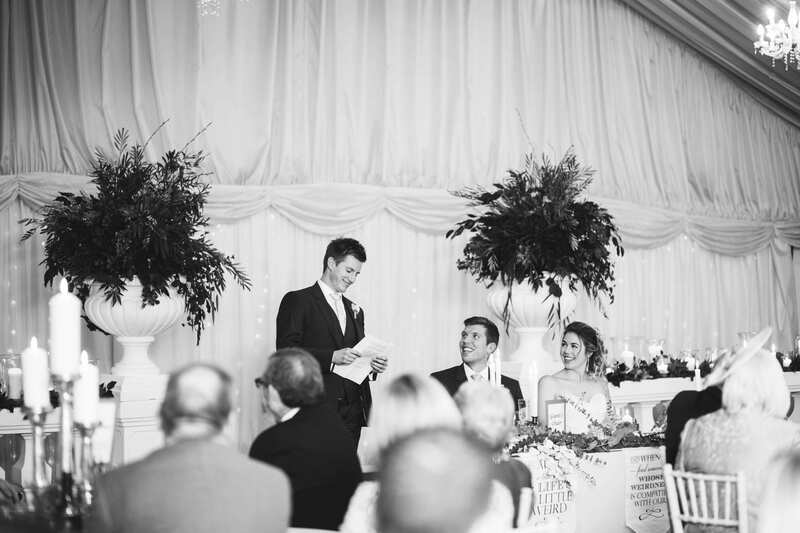 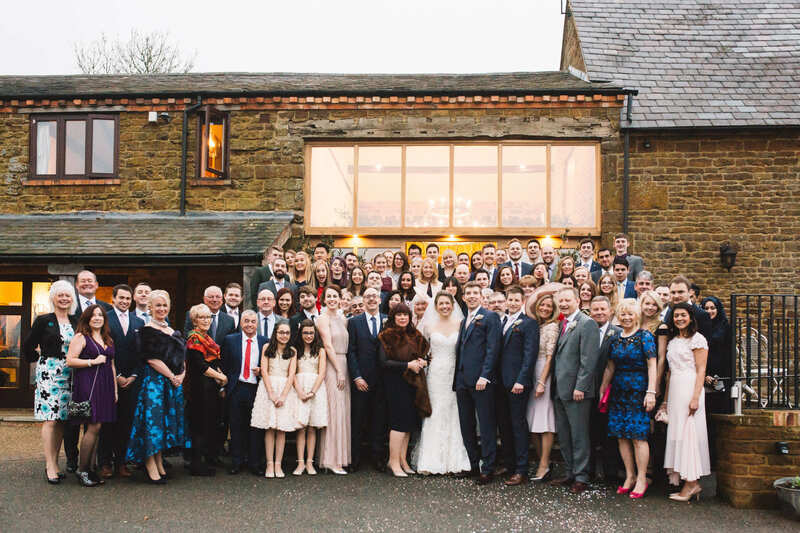 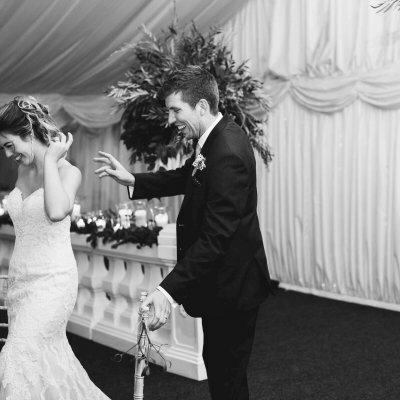 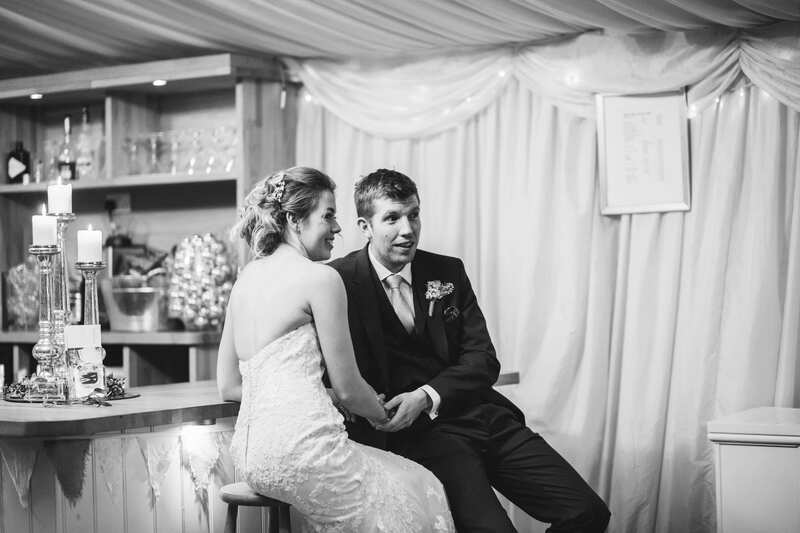 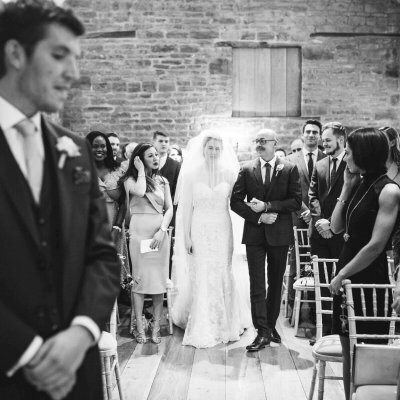 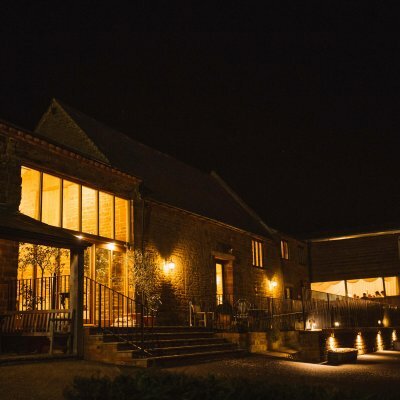 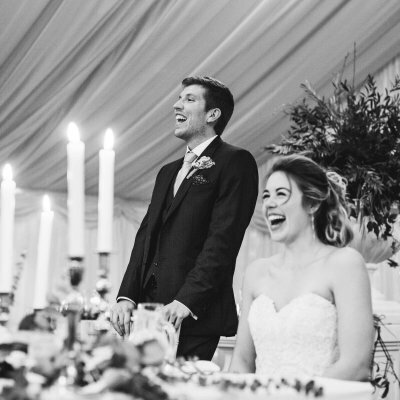 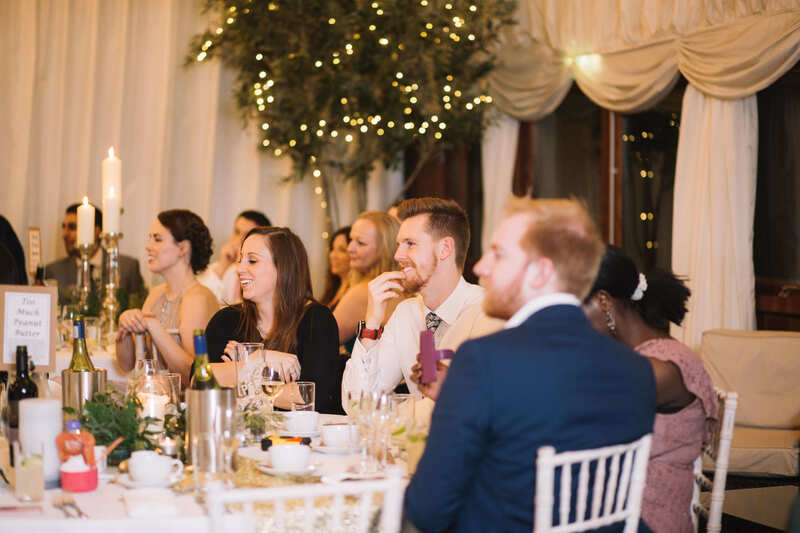 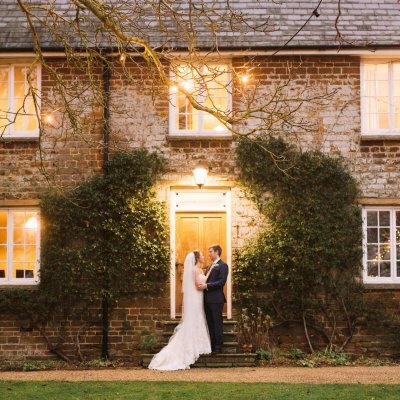 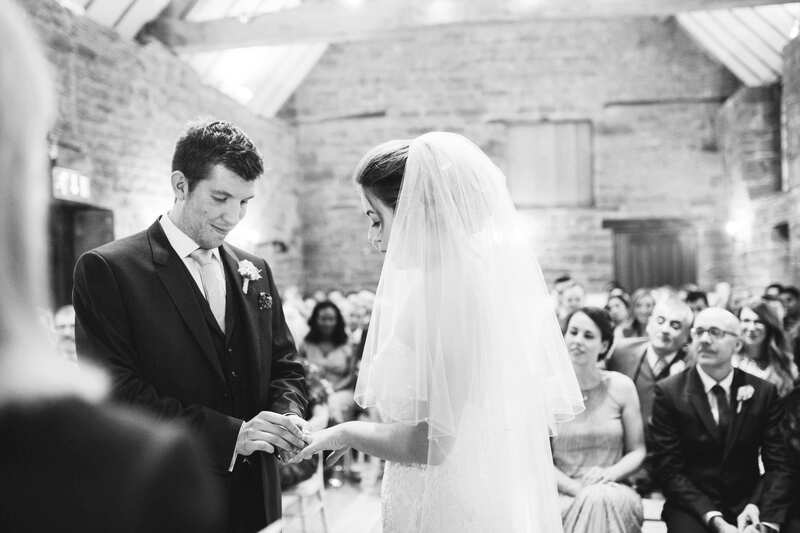 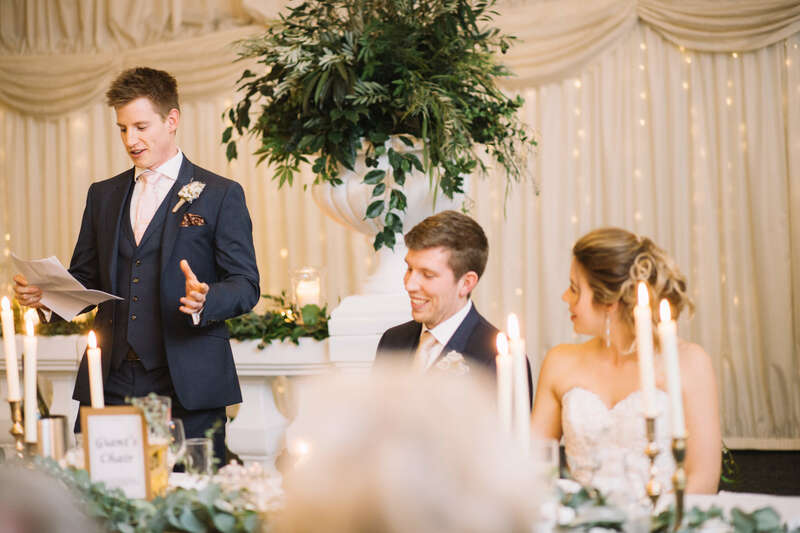 Steph and Adam chose to celebrate their big day with us on New Year’s Eve and they certainly threw a party to remember! 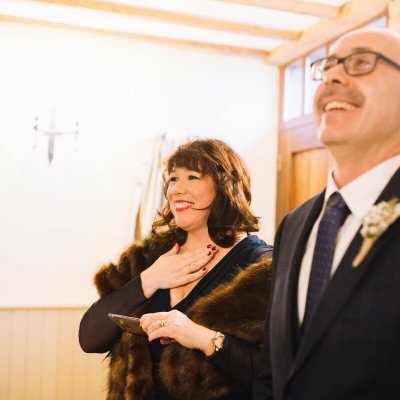 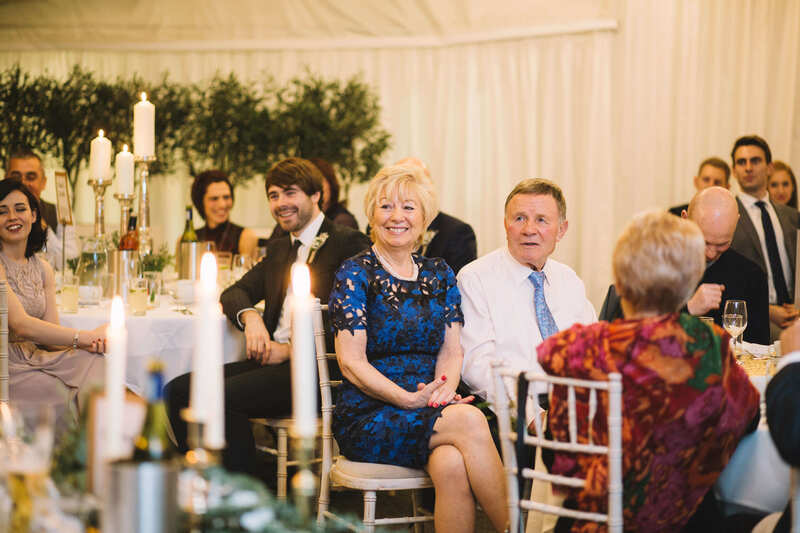 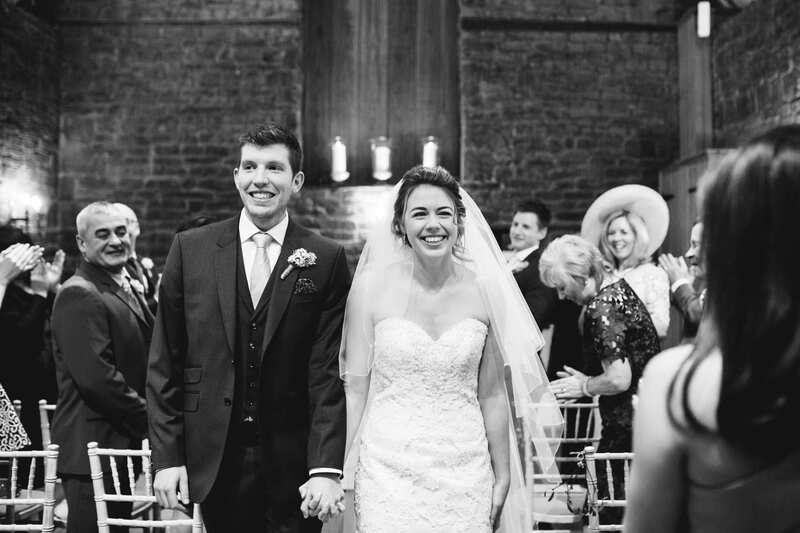 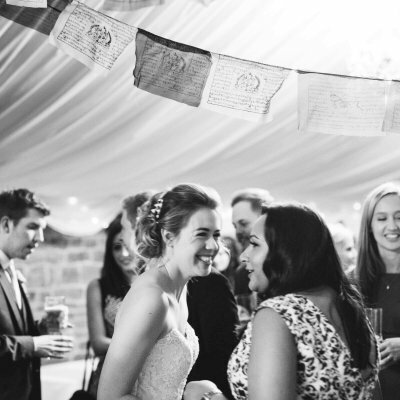 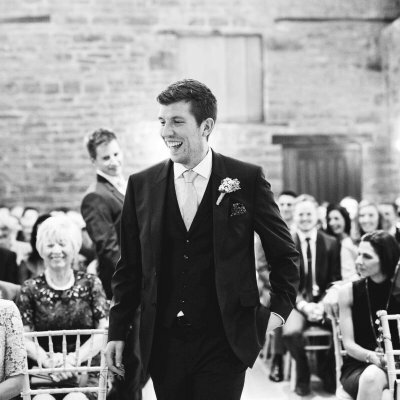 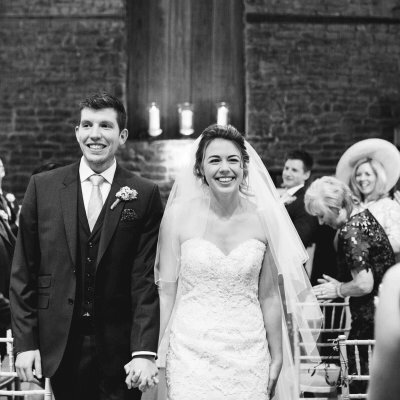 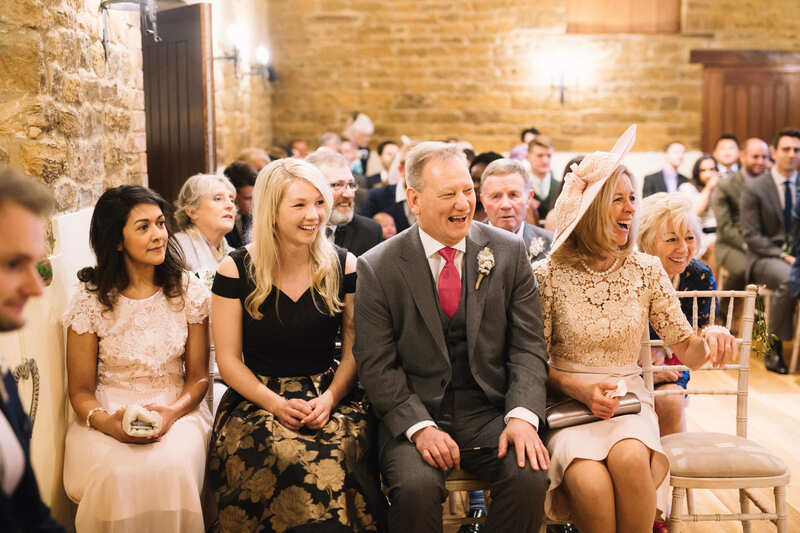 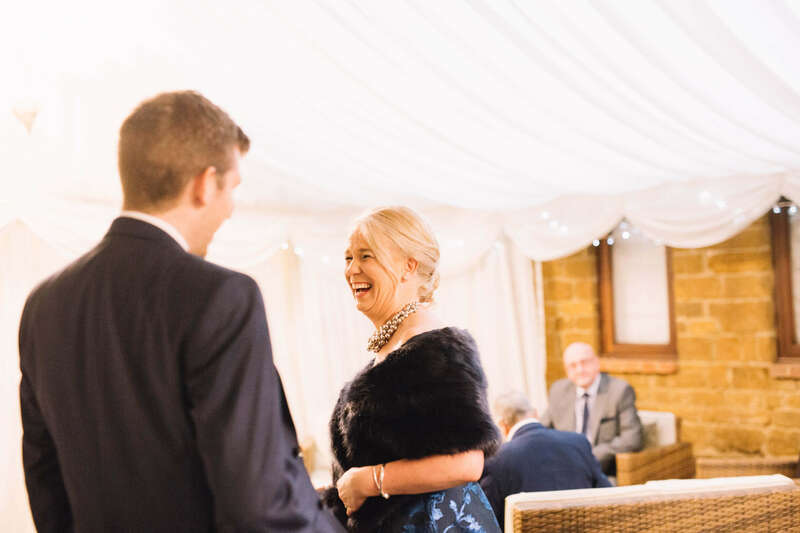 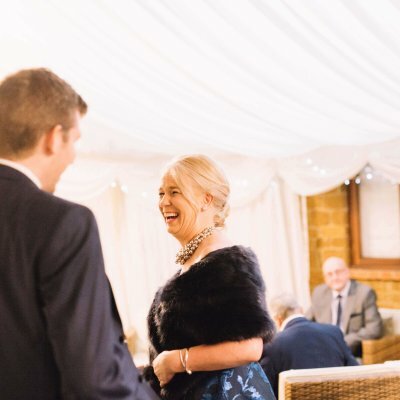 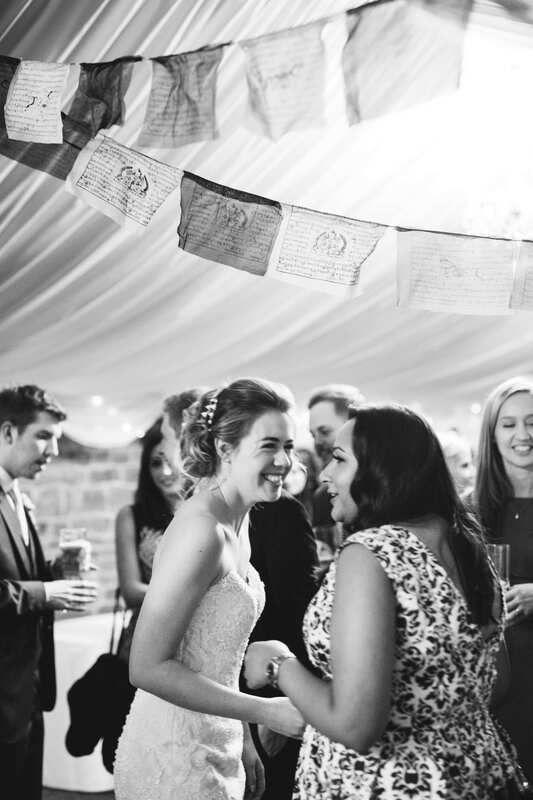 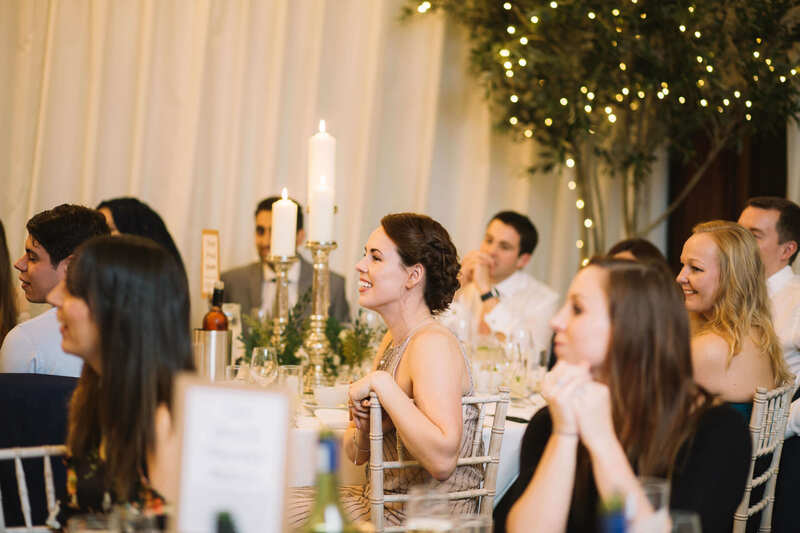 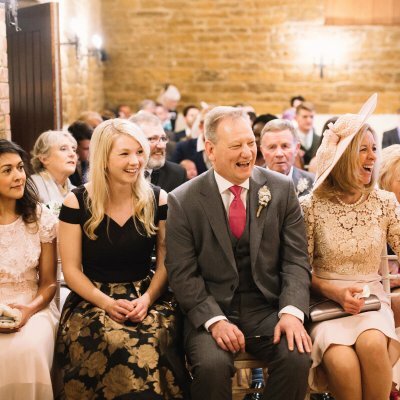 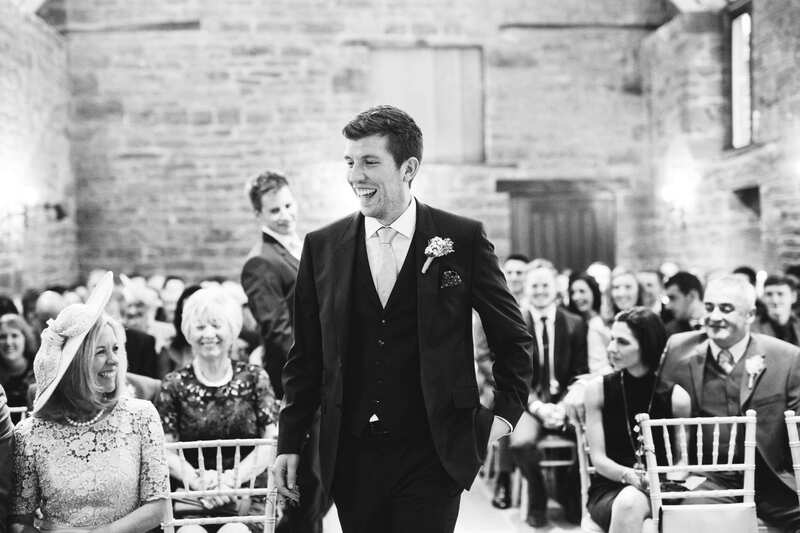 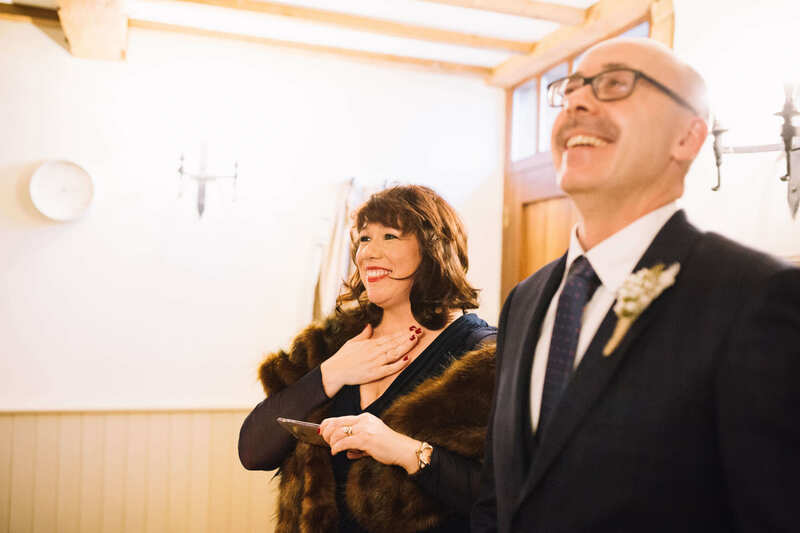 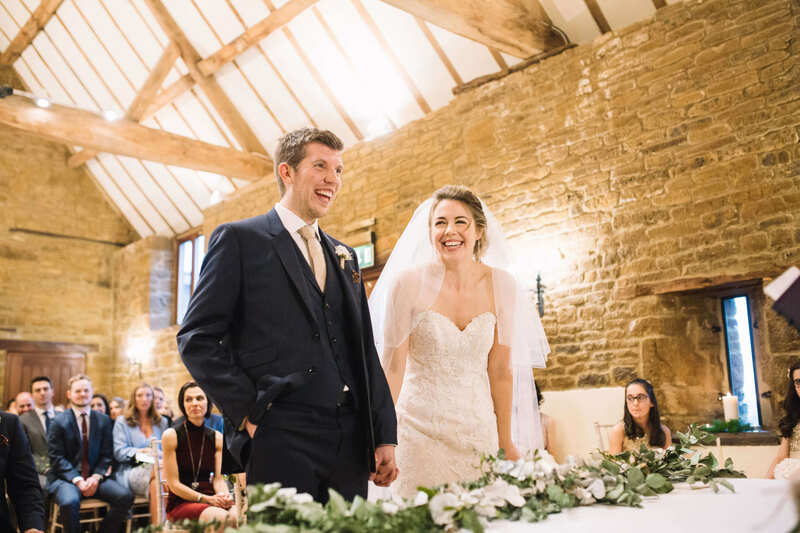 Our team were charmed by this bubbly pair who smiled their way from the aisle to the dance floor. 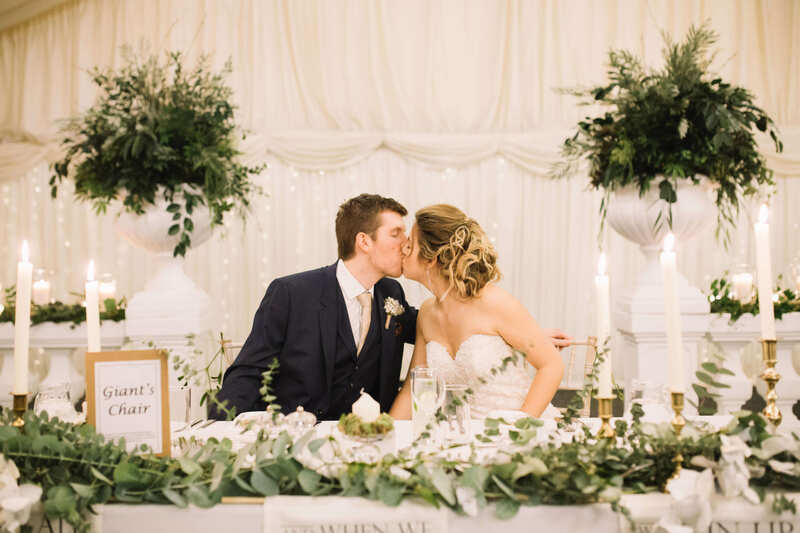 We’d like to thank them for allowing us to share their beautiful wedding photos captured by Cat Lane. 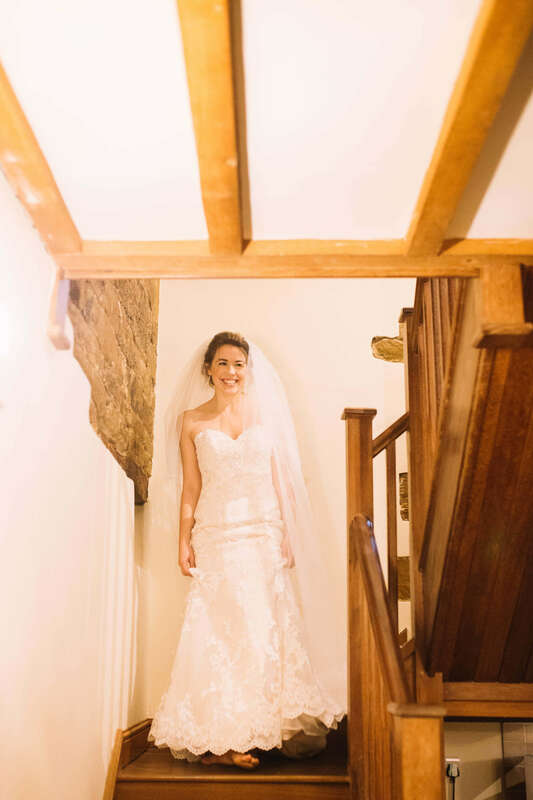 The wedding day started with a big breakfast in our oak entrance for all those guests who had stayed the night before the wedding. 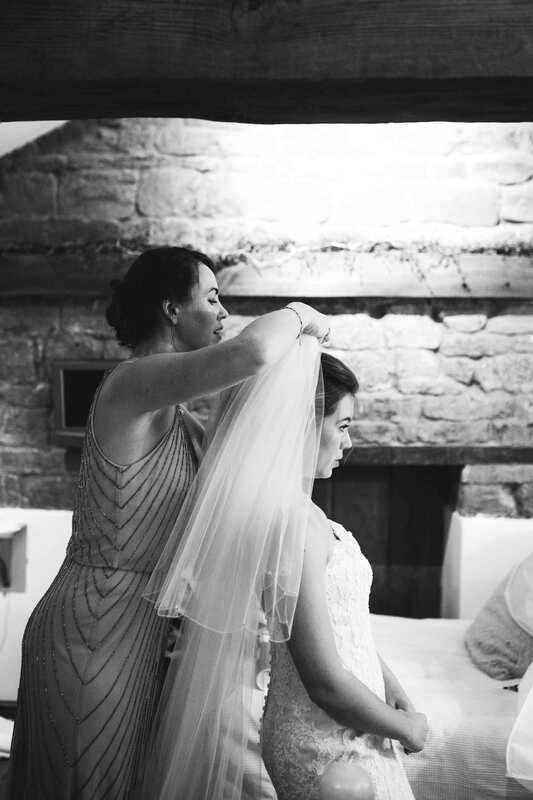 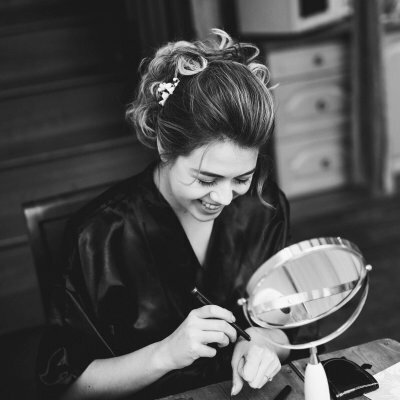 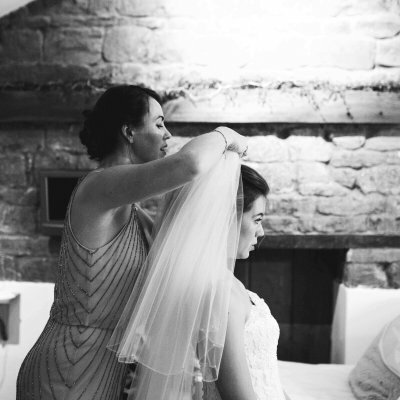 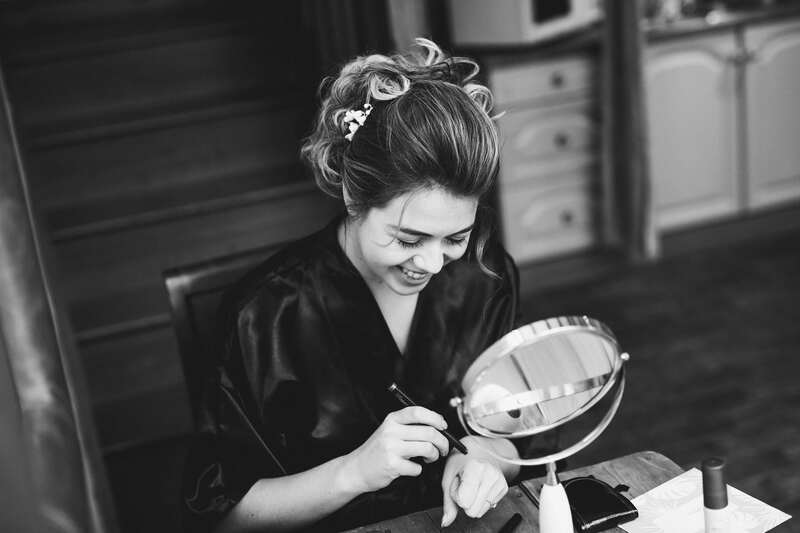 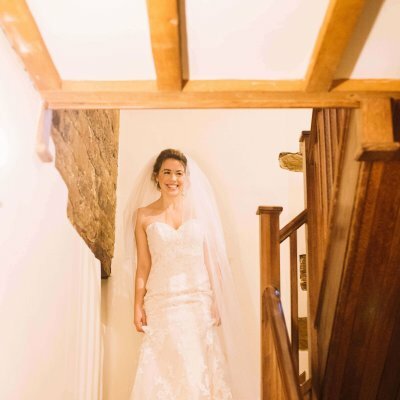 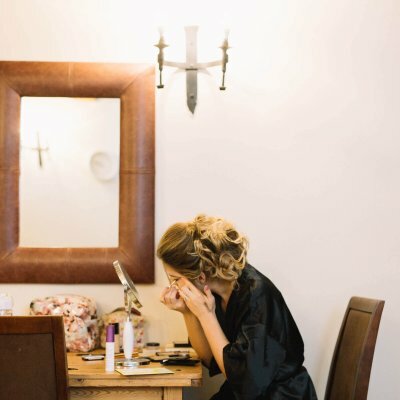 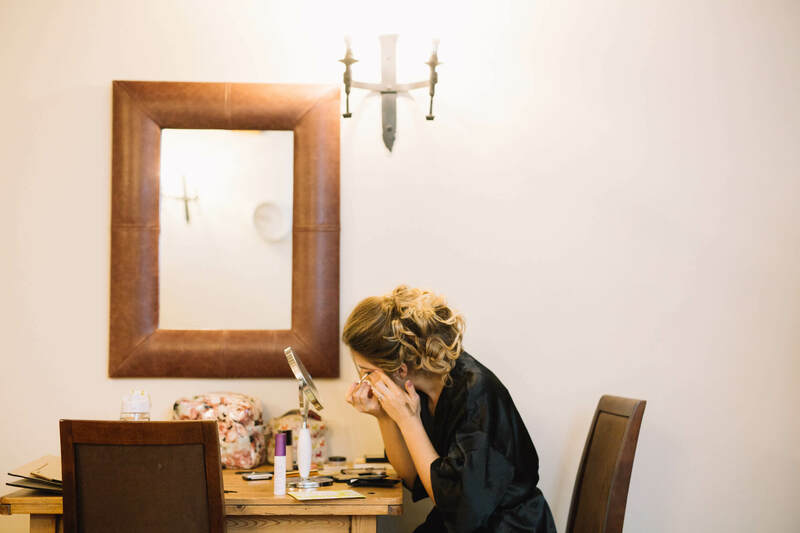 Steph prepared for the ceremony in Dryden cottage while Adam enjoyed a few nerve calming drinks with guests in the bar. 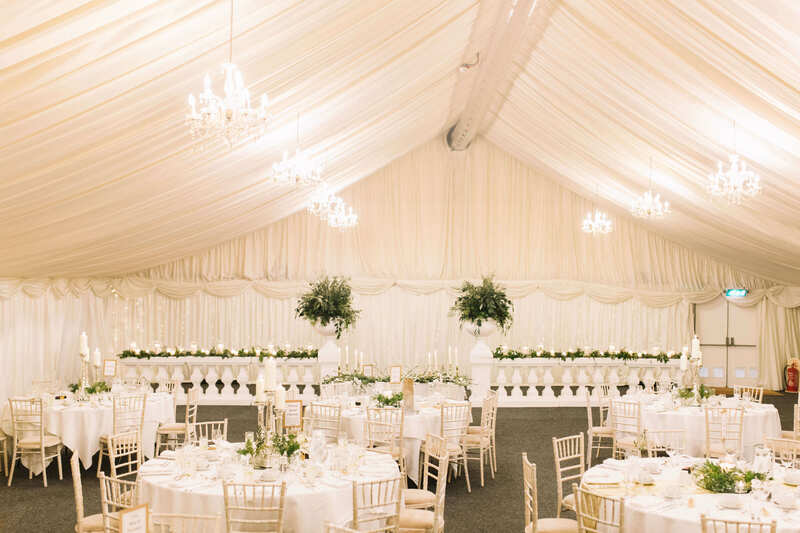 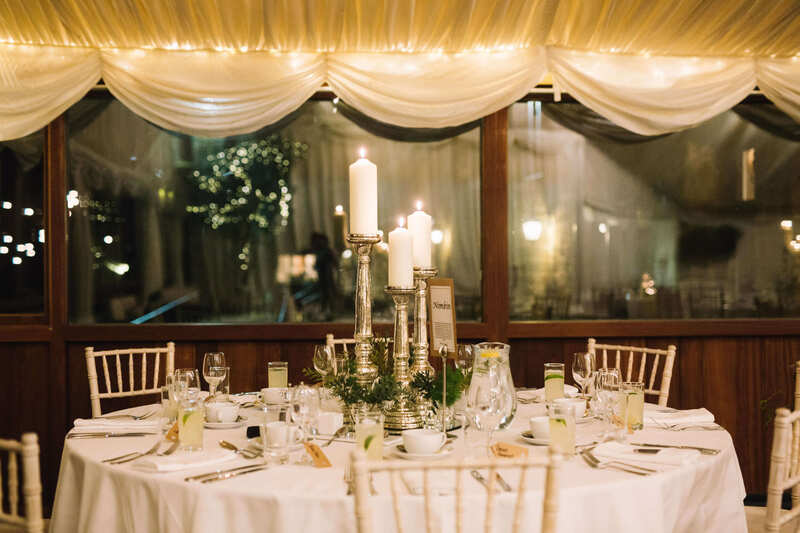 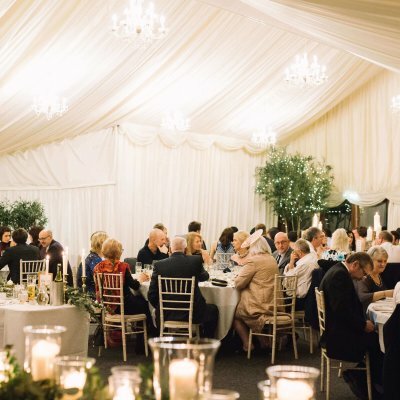 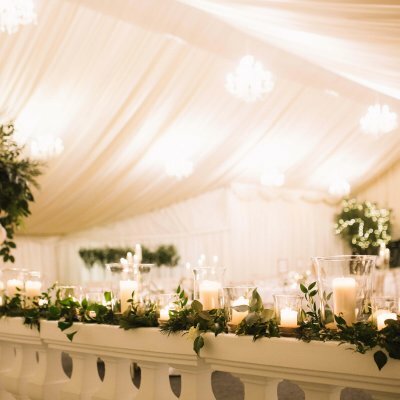 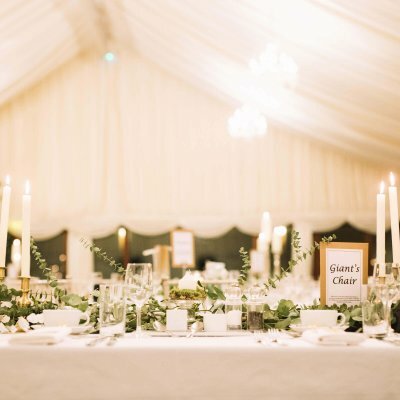 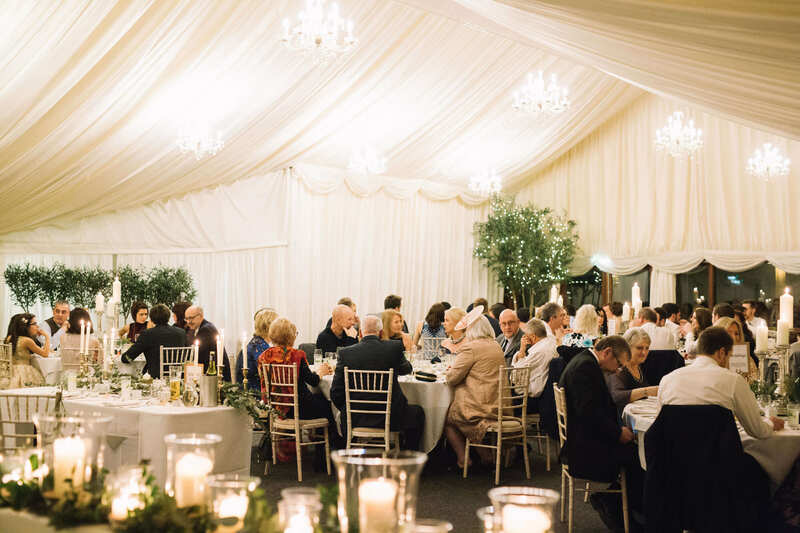 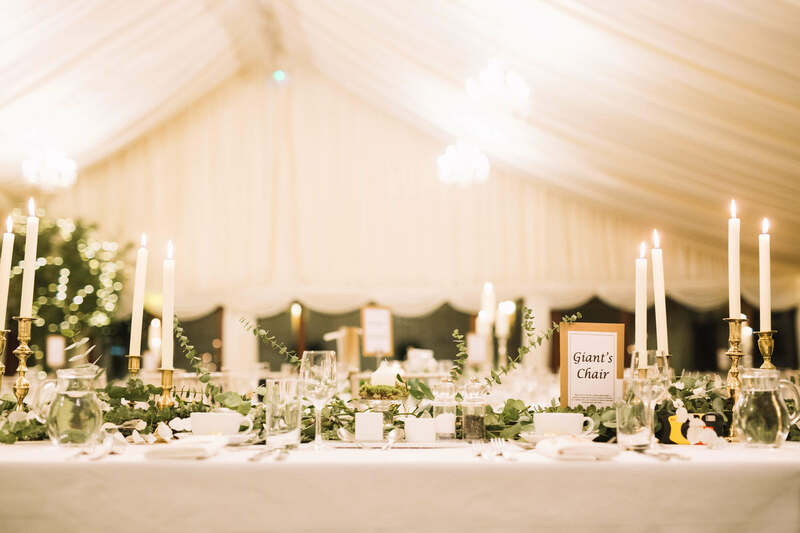 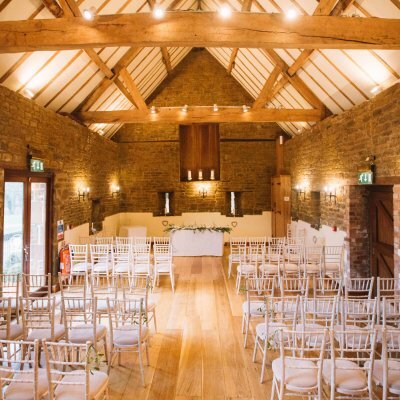 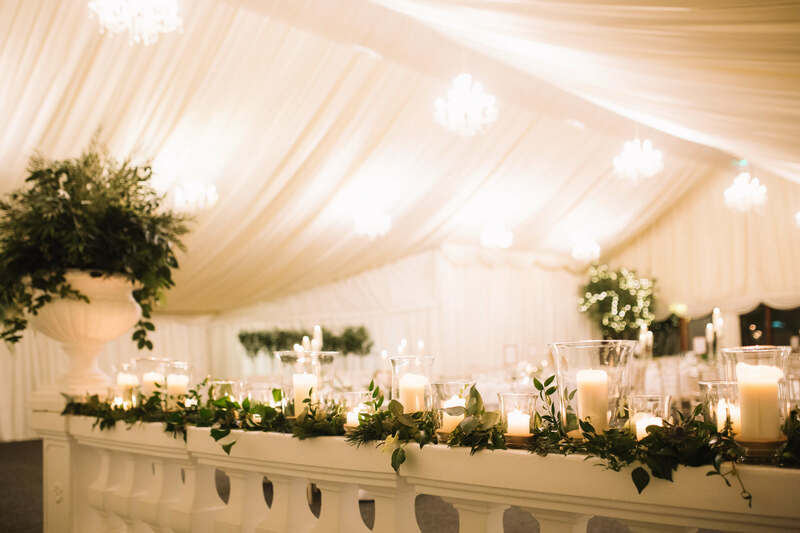 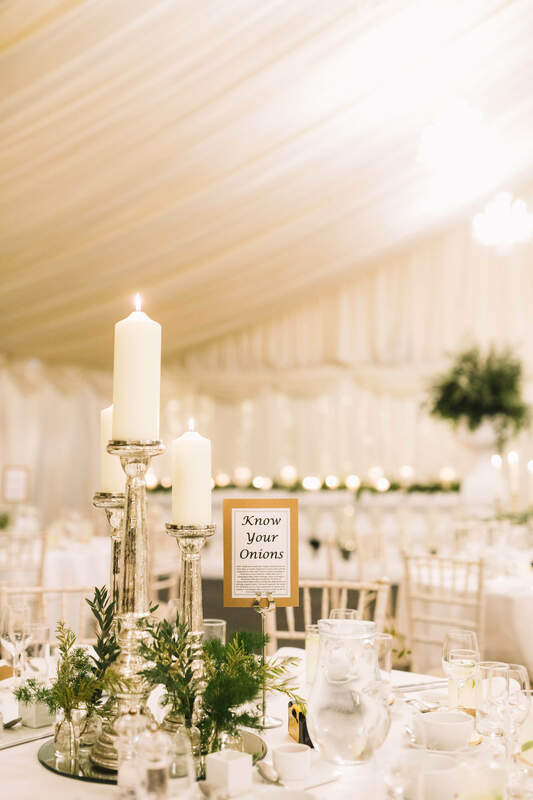 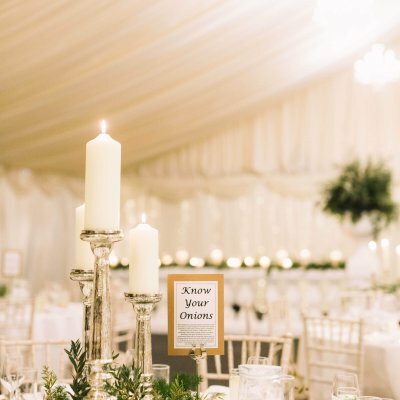 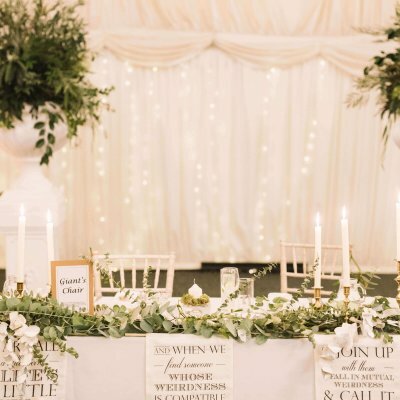 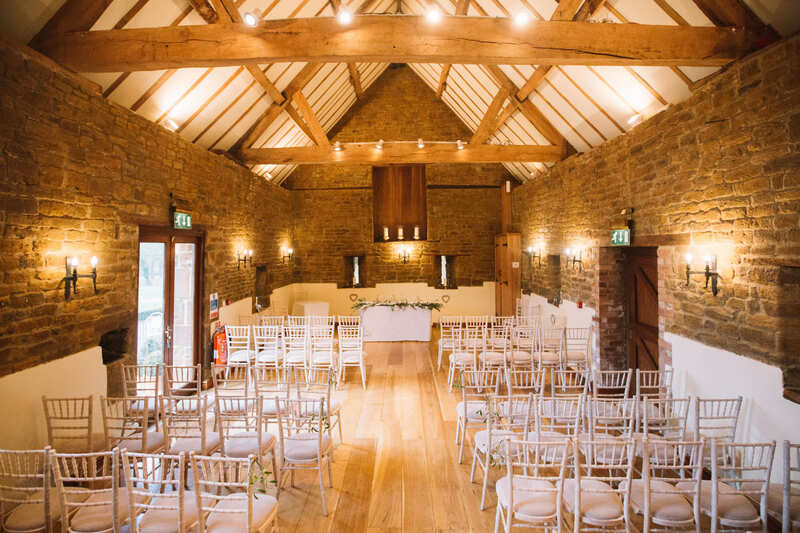 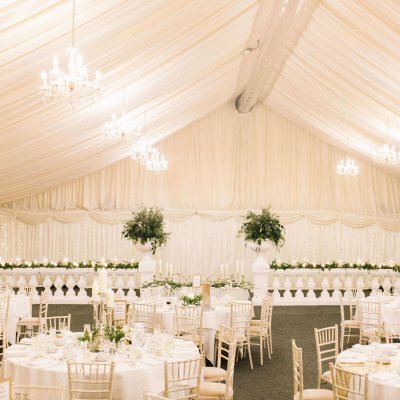 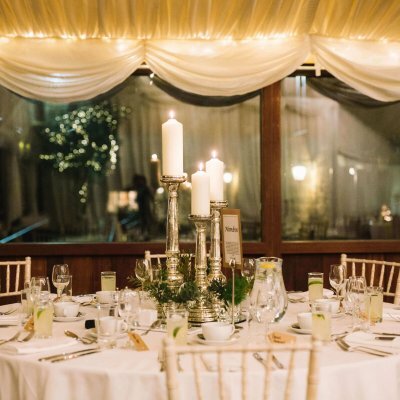 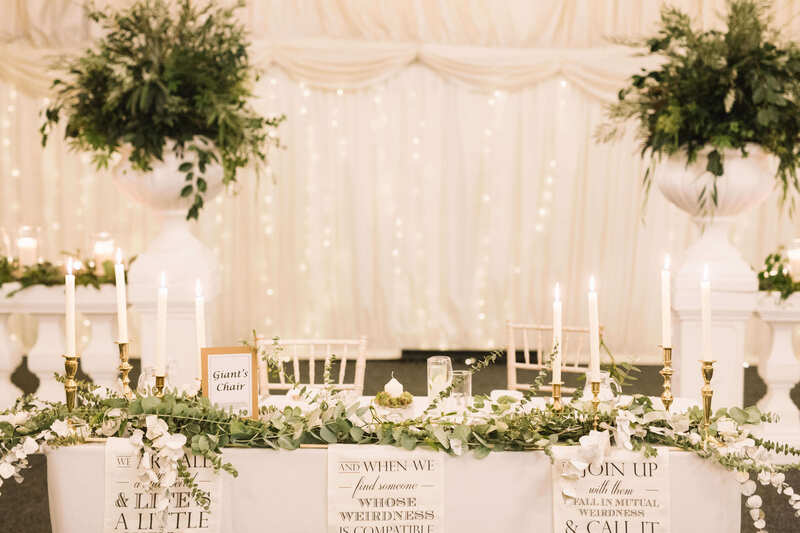 The hall and marquee looked stunning with their classic winter theme of green foliage and candles created by Decorations from Laura. 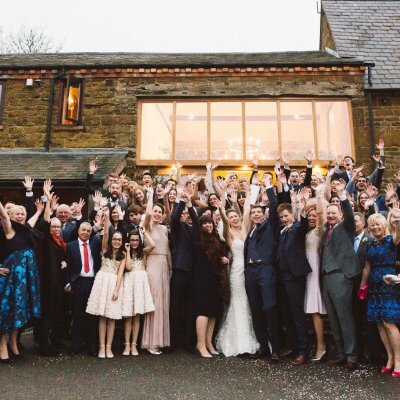 The wedding party then danced in the new year to fantastic live music from the band Motwon Gold. 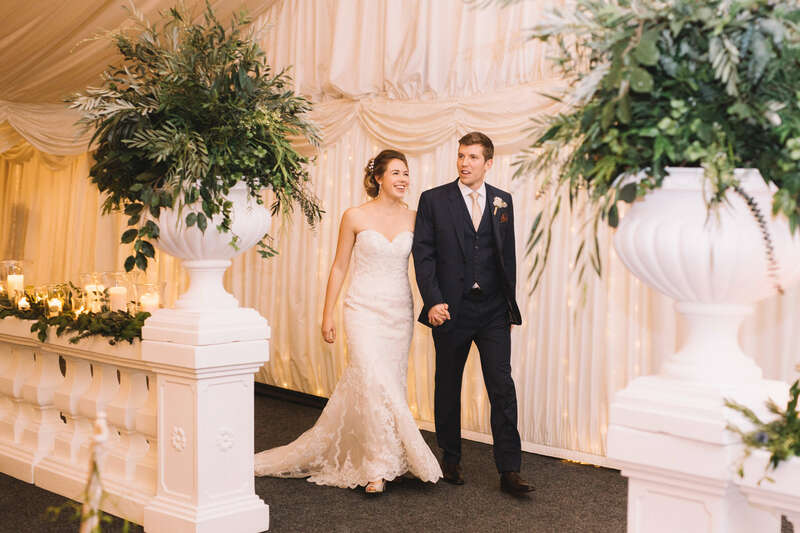 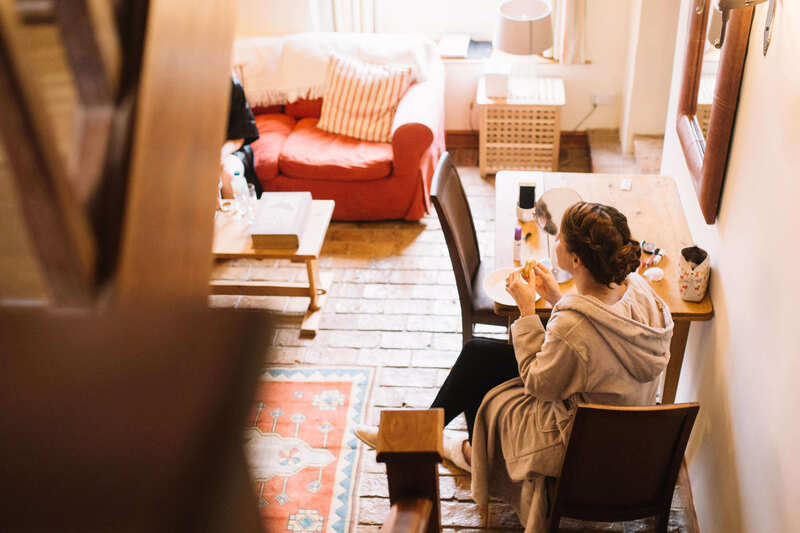 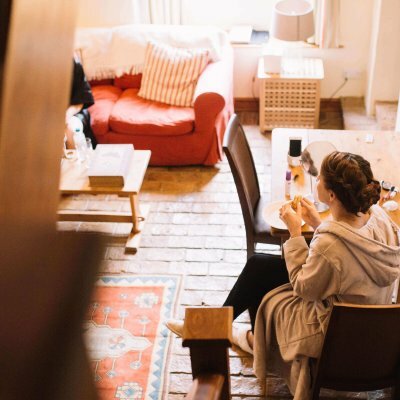 Having been travelling in Nepal when the devastating earthquake hit in 2015, Steph & Adam who escaped unscathed decided instead of a gift list to ask for donations to a charity supporting children affected by the earthquake.